8. Be Aware of Queues The lines for certain snacks can get pretty long (I’m looking at you, Dole Whip line!). 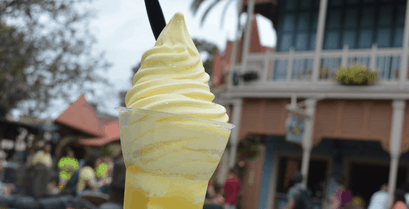 In fact, Magic Kingdom has moved around the Dole Whip’s location several times in an attempt to alleviate the traffic congestion this snack causes on warm afternoons. Likewise, the lines for the Starbucks locations will be lengthy in the mornings (just like at home), and ice cream lines will increase as the heat does. You already know to hit up counter service restaurants at off-peak times to avoid the crazy queues, so do the same for the snacks too!